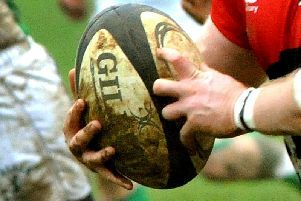 Milton Keynes’ up and down form of late took another dip on Saturday as they lost 31-15 to Marlow. Still sitting second from bottom, City went into the game with two wins out from their last three, but despite controlling the early stages, Marlow were first over the line to take a 7-0 lead. MK suffered a double injury blow, losing both Jim Fitzgerald and Ben Fisher, but rallied, and got themselves on the scoreboard. After some good rucking, Adam Usher was able to score to reduce the gap to two points, at 7-5. Dan Rolfe put City ahead with a typically powerful run through the middle to give MK a 10-7 lead at the break. With the slope in their favour in the second half though, Marlow ran in a flurry of second half scores to put the result beyond MK. Usher hobbled off the field with a hamstring injury, meaning more changes to the ranks, and it showed. The turning point of the second half was a harsh yellow card against flanker Dave Brown. For the 10 minute period of the yellow card Marlow managed to score three tries, putting the game out of reach of City. There was a consolation try for City when, on a rare occasion, they ventured into the Marlow half. After some good pressure resulting in a number of penalties City forced their way over the Marlow try line with Rob Lasbrey stretching out to put the ball on the line to bring the score back to 31-15. While the performance was promising, the defeat leaves then second from bottom, with a tough game against Thatcham up next.